3-2-1 go! IGNITION SEQUENCE STARTED! MY MERRY MACHINE are Rock’n’Roll riffs and melodies between modern and alternative metal– honest – emotional -direct. 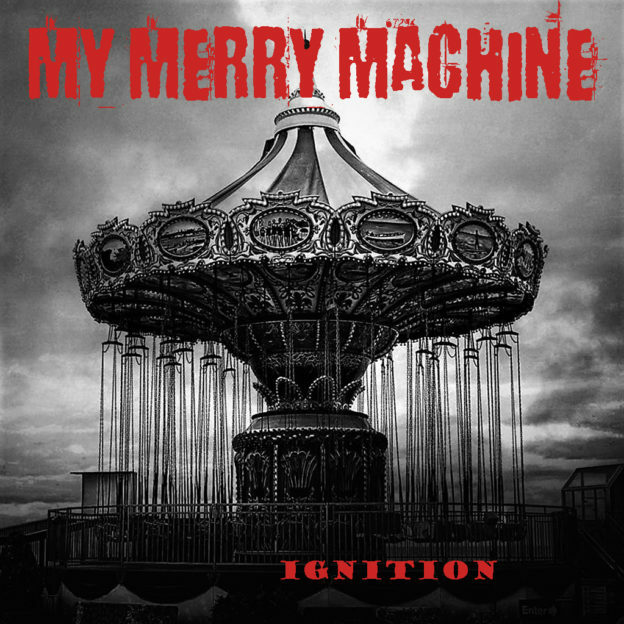 My Merry Machine released the debut album titled „Ignition“ on September 28th. The eleven songs on „Ignition“ turn out to be varied and surprisingly mature compositions, full of power, soul and atmosphere, all the way to melancholic, covering all facets of a modern metal band. The album is completed by the massive powerful sound from the hand of Dominic Paraskevopoulos (level3entertainment studio), who also turned the knobs for Kreator, Caliban and Arch Enemy. been creatively connected again for a good year, together with bass player Georg, creating My Merry Machine: a vision, a sound and just a new and extraordinary band. throughout the entire writing process. We think that you can hear that in the songs as well.“, adds Tim. Their many years of musical experience ignite with energy and lifeblood for passionate music beyond defined borders a sound-rocket of rhythm and melody. Shaped, matured and grown together, the four have extensive live experience at home and abroad with numerous well-known bands on tour and on festival stages such as Mera Luna, Summerbreeze, WGT, Taubertal and Rock am Ring. As always, the question arises, may one judge a newcomer so early? Yes, because as convincing as My Merry Machine speak, they are always able to convincingly present their extravagance on stage. My Merry Machine is a lucky machine that starts a fantastic journey: wild, intoxicating and impetuous.